Over the years I’ve slowly integrated more natural products into my life. It really started with choosing more organic and natural foods, then I moved on to beauty supplies, and more recently, cleaning supplies. In the past I never really thought about how those chemicals I used to clean my toilet could also end up in my blood stream. However, I will be honest and tell you that I am also too lazy to make my own products. I tend to just buy the most natural brand I can find, wherever I happen to be. But just because it says “natural” on the label, how do you know? They can call something “fat-free” at the grocery store and it’s still full of calories. ...In comes the Think Dirty app! 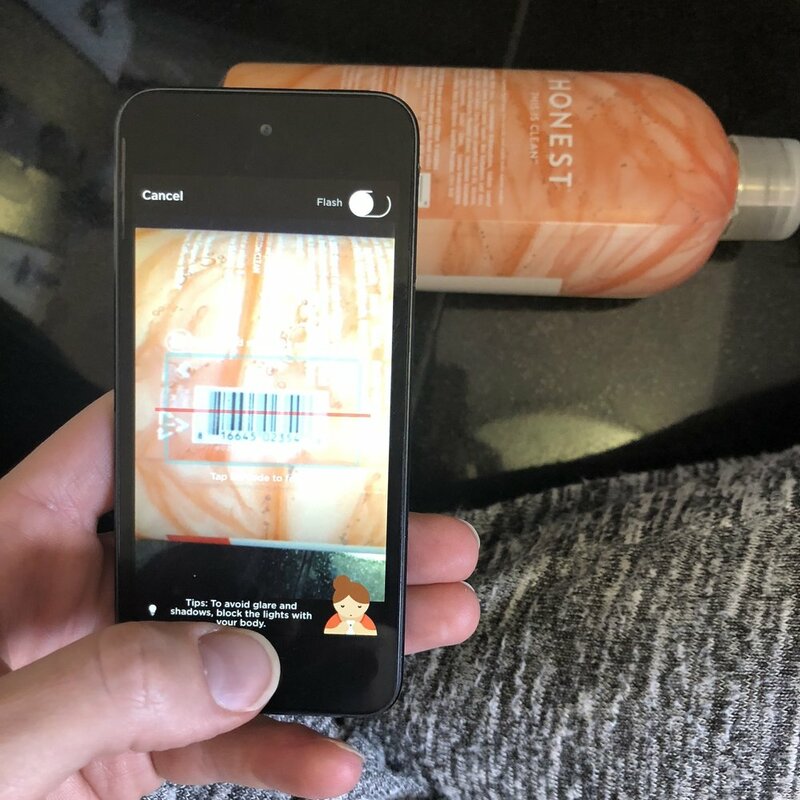 This app has you scan the bar codes of your go-to products and then rates them, giving you reasons as to why they are good or bad. 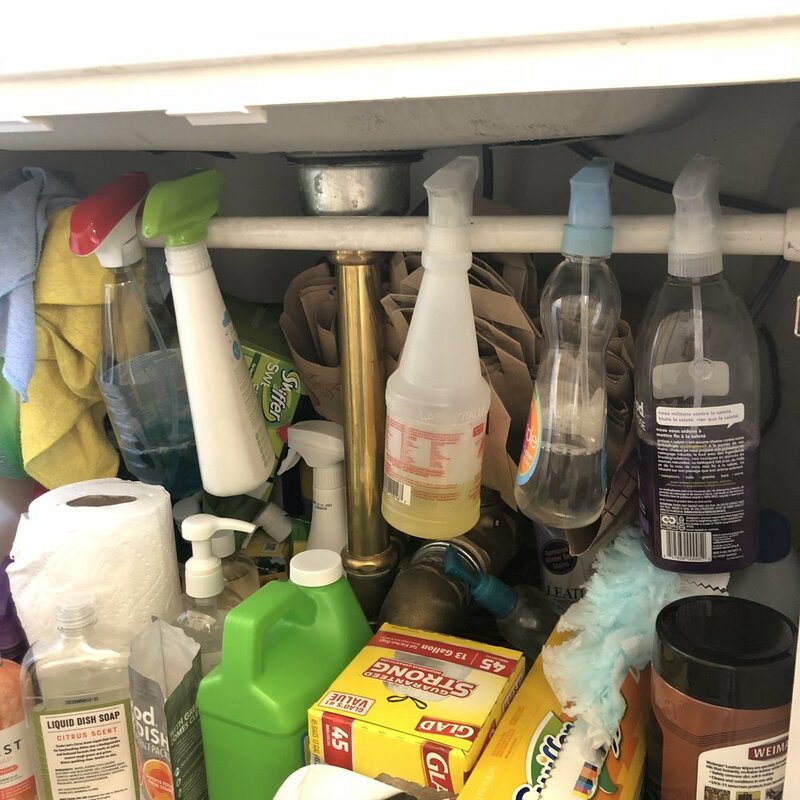 When thinking about this week's challenge, I realized I hadn’t used the app in a good year or two, and so I was excited to check out what was under my kitchen sink. 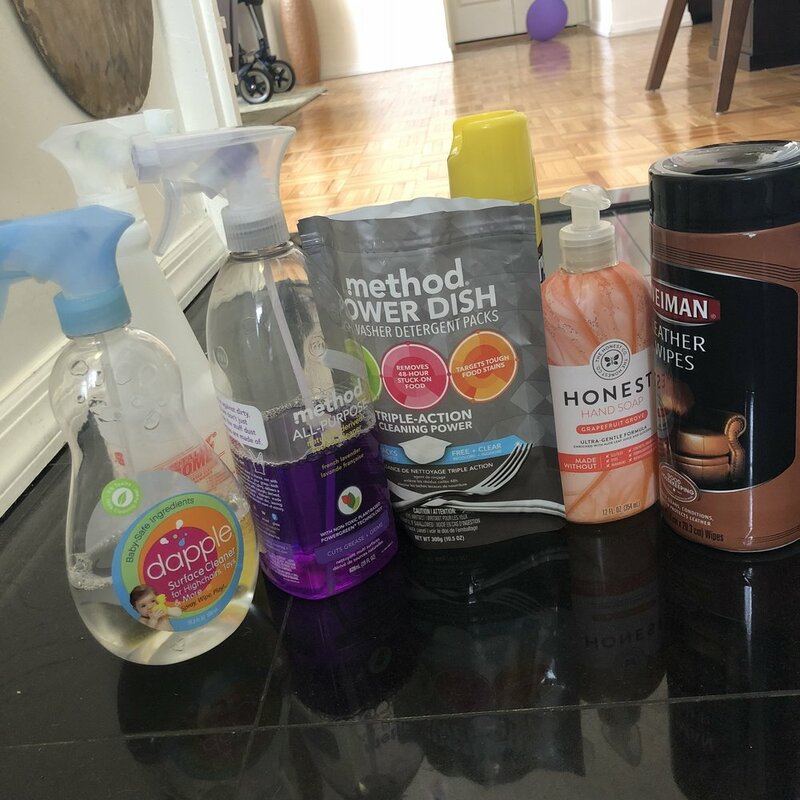 I tend to have more natural products than not, but there are still a couple of things that came in really high on the Dirty Scale (the scale goes from 1 to 10, with 10 being the worst/dirtiest). 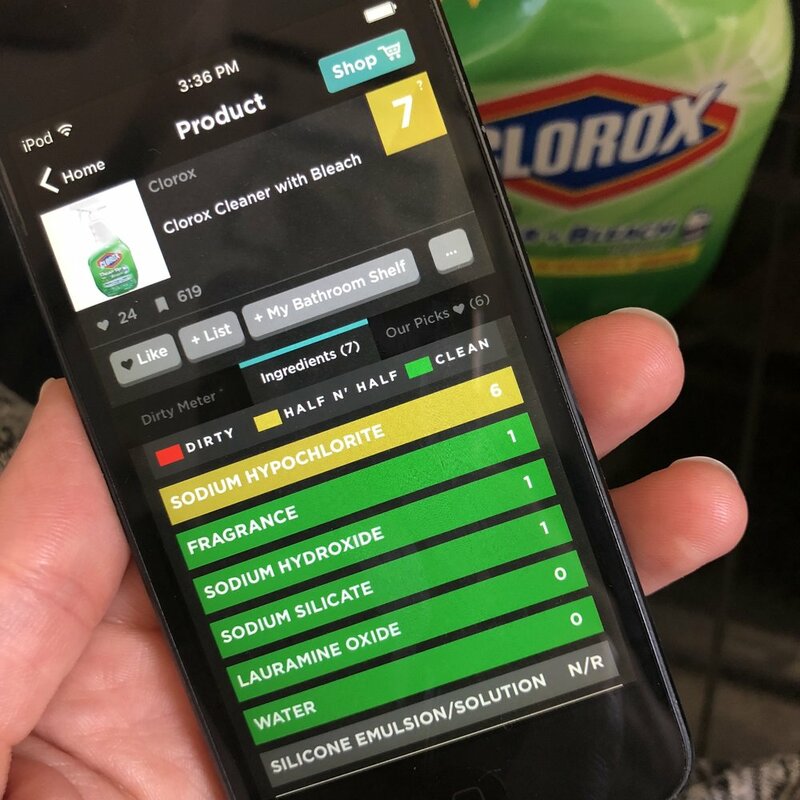 For instance, this Chlorox cleaner (above) got a 7. And this cleaner my cleaning lady gets up in the Bronx—it works like magic, but I have a feeling it’s as far from natural as it gets. However, I was happy to see some of my baby products getting good ratings! But as I was scanning my products, I found that a good amount of them weren’t in the system—which was surprising because they included some pretty common brands. So I’m 50/50 on my recommendation for this app. It’s definitely helpful, when it works...but all of these products below didn’t come up. That being said, it’s free, so I guess why not download and try!